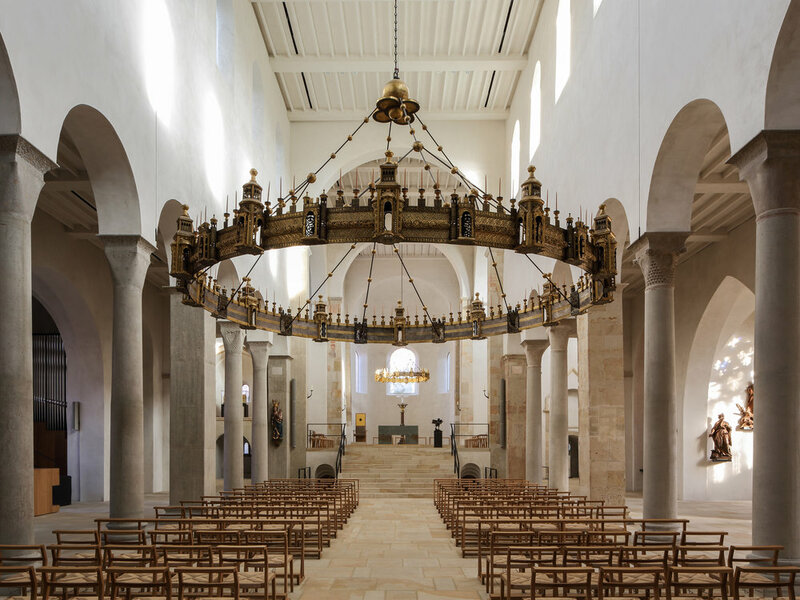 St Mary’s Cathedral in Hildesheim is a UNESCO World Heritage Site. 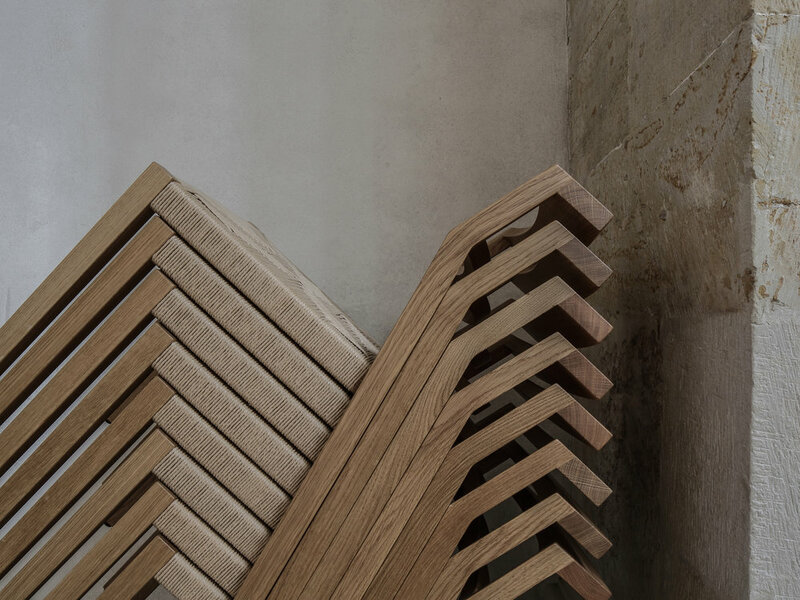 As part of the general extension, refurbishement and reorganisation of the cathedral and its ancillary buildings by Schilling Architects, Studio Meda had been asked to develop a chair to replace the existing pews. 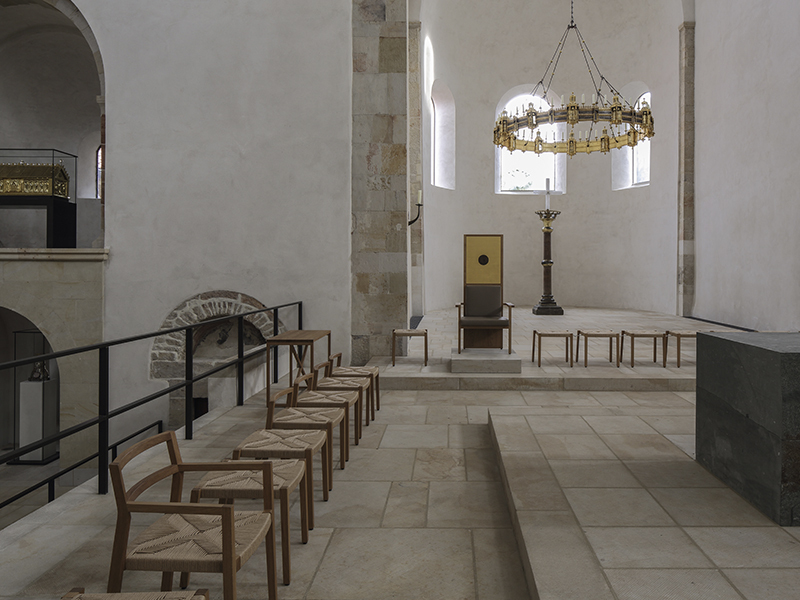 The studio also designed all peripheral furniture such as the cathedra, priests’ stools, storage elements and confessional booths. The main chair needed to conform to strict practical and lithurgical requirements. The proposed chair is stackable, can be aligned in rows of 5-6 chairs and supports praying with knee and arm rests. 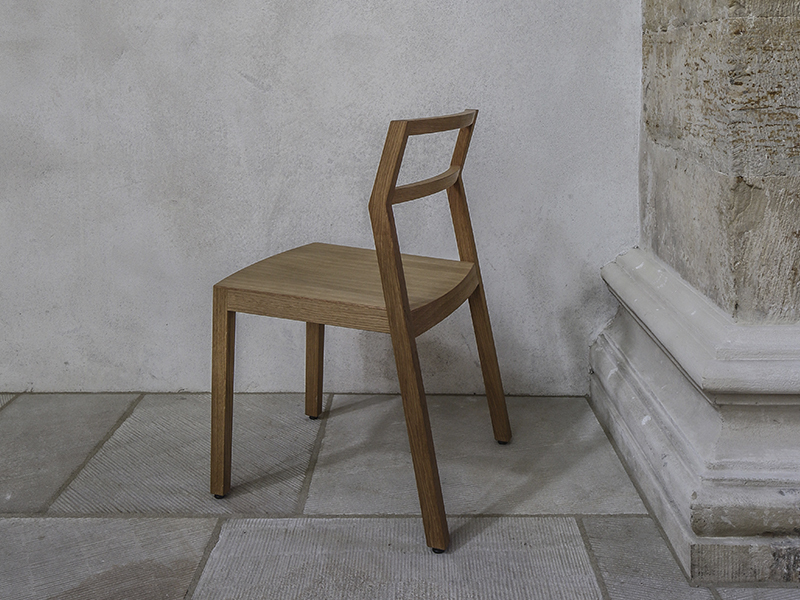 The chair is manufactured as an edition by Horgenglarus in Switzerland.